We're already into the second week of January, and I've only just got my 2012 favourites ready. No surprises there, I'm rarely on time for anything in my life. But, in my defense, I set out with good intentions. 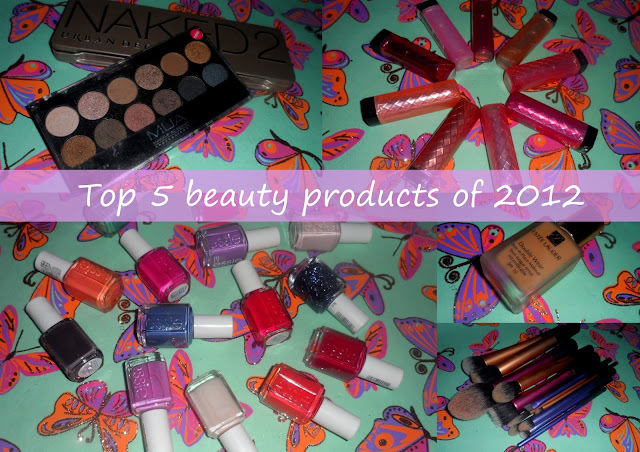 I started making a list of my 2012 beauty favourites in December. The trouble was, I kept adding to it and it got really out of control, so I decided to limit myself to my absolute top five things from that list, and this is what I ended up with. Essie nail polishes. No one colour in particular, because realistically who likes the same nail shade for a whole year? My tastes change frequently depending on trends, seasons and what's new in my collection. But there Essie one brand that I fell in love with and bought more from than any other in 2012. I started my Essie collection part way through the year and continued to add to it fairly steadily - I think there may actually be one or two missing from this photo that are hiding in a handbag somewhere. I love the colour range, the limited editions are usually quite exciting and capture the colours I want to be wearing at that time, and I like the bottles. I'm a loser - I like to have lots of matching bottles lined up on my shelves, so it's common for me to become obsessed with a brand and to want to start a collection. There's no point me even kidding myself that I'll attempt to kick that habit. My beloved Estée Lauder double wear foundation. I've liked this foundation for so long that I'm starting to feel like I should try something new. Not because there's anything wrong with this at all - I love it and lasts longer on me than anything I've ever tried - I just get that feeling that I might be missing out on something even better. Crazy, right? This is shade 3N1, which I was colour matched with and repurchased after that, but it's ever so slightly too dark, so I'm planning to go a little lighter with my next bottle. I just couldn't choose between these two palettes. I know technically I'm breaking my own rules, but I'm bending them by deeming favourite number three to be 'neutral eyeshadow palettes'. I get a lot of use out of both of these and nearly all of the other palettes in my collection get neglected (although the new girl in school, Naked Basics, is proving to be a pretty popular kid so far). I never got on with the original Naked palette from Urban Decay, so I sold it. Bizarrely, although MUA's Undressed palette is a dupe for Naked 1, I like it so much more than its muse. The Naked 2 palette suits me so much better and although I tend to stick to the safe 'safe' shades most days, I wouldn't be without the whole collection. I'm not sure if I bought my first Real Techniques brush in 2011 or 2012 - it may have been 2011, but I certainly added to my collection quite a bit last year, and these are firmly my favourite brushes. I always feel bad for shunning my expensive Sigma collection for these high-street buys, but they're just better for the job, and I reach for them over anything else. I did just buy my very first MAC brush the other day though, (too scared to get it dirty yet) so I'm prepared to potentially be changing my mind like the wind. It was a 217 (obviously), in case you're wondering. But for the price, I don't think Real Techniques can be beaten and if they have a brush in their range than I'm missing (I think there are a few pink ones I don't have) I'll be sure to add it to my brood asap. The Revlon lip butters had to make my top 5, heck they'd probably make my top 1 of 2012. These beautiful little wands of colour really brought me out of my bright lip scaredy-cat shell, because they're just so much easier to apply and carry off than a full blown lipstick. Again, I'm cheating and picking my whole collection as my favourite, as the colours I love have changed through the year. 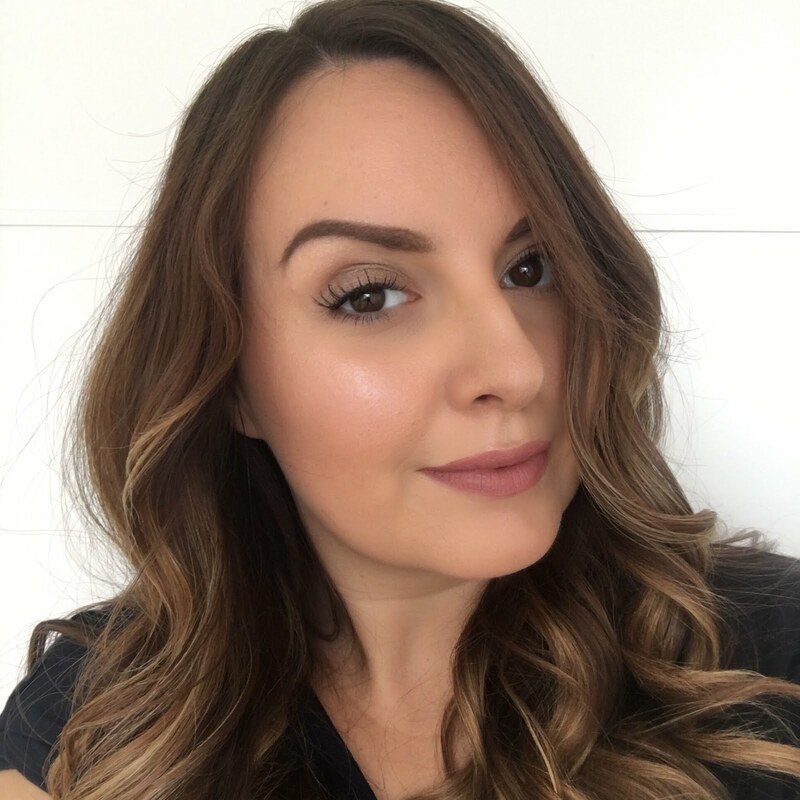 As I think I was saying in a recent post about my favourite winter lip colours, I started off loving the pinks in this range, and as the year wore on I was drawn to the berry shades and I kept buying a darker colour each time I popped into Boots. If you've never tried one of these, you must - your lips will love them. So there we go. That was much better than me babbling on about the original 20 - 30 products on my draft favourites list! I think I'm going to make more of an effort to get monthly favourites done this year, that way I won;t end up with such long lists each time I get around to it. If you could take just one beauty product you discovered in 2012 through to 2013, which would it be? MUA's Undressed palette was my absolute favourite product of last year. Used it so much and it was so ridiculously cheap! I love the undressed palette:)! lovely favourites, I need to get some real techniques brushes! My top product has to be Clinique chubby sticks. I only have two up to now, woppin watermelon and heaping hazelnut, but would love loads more. They cost £16 and are worth every penny. I have never felt anything so lush on my lips, love them!! I have to mention the MUA palette you chose too, as I love that too, but it comes in at number 2.